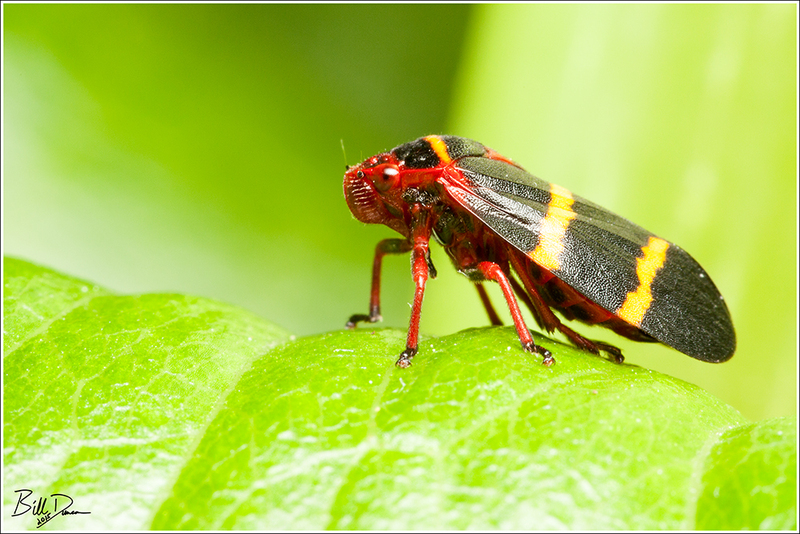 Planthoppers and Leafhoppers are groups of insects collectively found within the insect Order Hemiptera. Both groups have piercing and sucking mouth parts and feed primarily on plant saps and tissues. These groups are highly diverse. I have been able to capture a few of these fascinating creatures with the camera in the backyard, but these are generally the more common species. 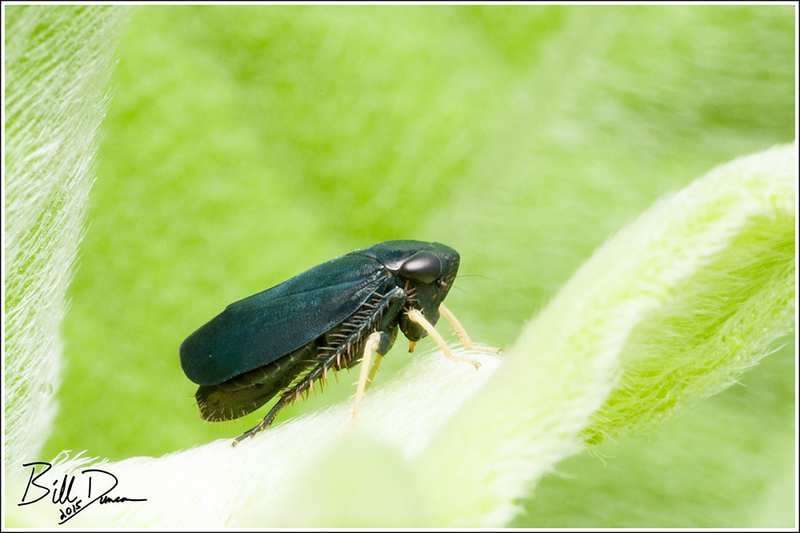 The insect pictured above is known as a Spittlebug – named for the behavior of encasing themselves as nymphs in a spittle-like mucous for protection. I’ve said before that there is no such thing as an original idea in fantasy or sci fi. I’ve found that almost every creature or effect you can find to celebrate in these films or books has been taken (consciously or not) from nature, most often from invertebrates or the deep sea. 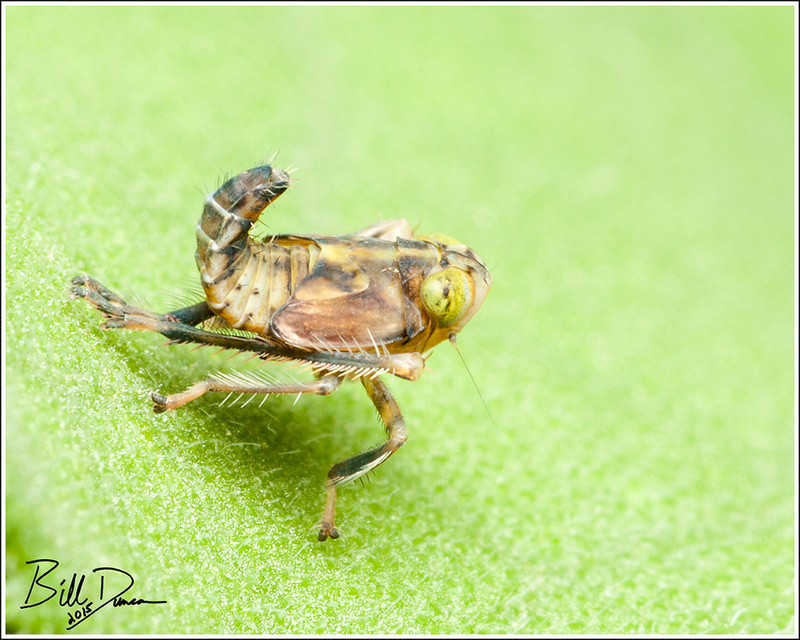 This ultra-tiny guy posted above is a planthopper nymph. Often members of this group will have long, colorful waxy lengths of fibers extruding from their tail ends that are used for multiple purposes, including predator avoidance. 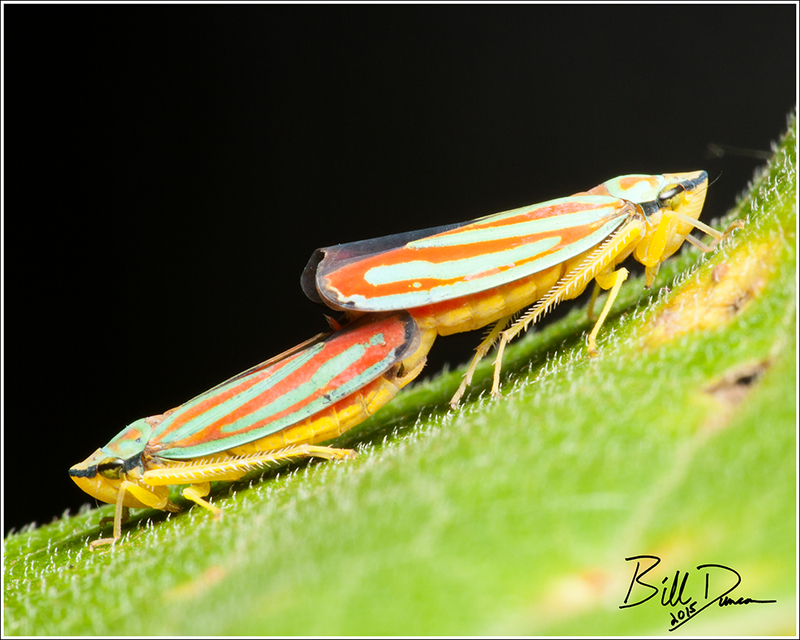 Many folks who have spent any time in the backyard have surely seen the Candy-striped Leafhoppers, one of the most abundant species in this group. Gorgeously colored and quick to disappear, the two pictured above are busy making more. I look forward to sharing more photos of members of these groups in the near future. For the first time in my life, I begin to feel too BIG for having overlooked these fantastic creatures. Thank you for the insight!